These topic possibilities are a starting point in designing a creative, fun and effective presentation for your group. 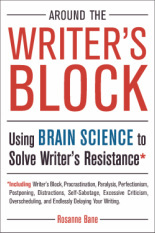 Around the Writer’s Block: Resistance is not about lack of will power, discipline or ambition. The session helps participants stop blaming themselves, harness the power of brain science, discover what’s going on when they experience resistance, and learn the Four Step Method to effectively move through it. Want More Creative Bliss? We all love the flow state where “a-ha” insights pop into our heads and writing/creating is effortless. But this occurs in just one of the six stages in the creative process. 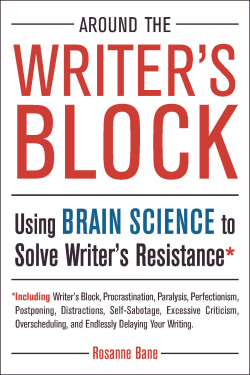 Participants will get a lot more joy and satisfaction – and their writing/creativity will be more powerful – when they understand all six stages and the kind of creative effort they need to do in each. This presentation provides information in a fun format that novices and pros alike can appreciate. Please Don't Feed the Saboteur! The Saboteur is that nasty inner critic that is never satisfied. The Saboteur has a variety of disguises: harsh criticism, distraction, accidents, and self-destructive habits are just a few. When participants learn the five hallmarks of the Saboteur, they can recognize it and respond appropriately so they feed their creative spirits, not the Saboteur. The Myth of Multitasking: Trying to do two, three or even four things at once will NOT save time! The human brain simply doesn’t work that way. Participants learn what they can do to actually improve their brain’s functioning and their overall effectiveness. Best of all, because multitasking has wasted time in the past, participants leave this presentation with more available time instead of facing the dilemma of not having the time to implement yet another new strategy. From Procrastinator to Practitioner: Procrastinators are not lazy or undisciplined – procrastination is part of the fight-or-flight instinct hard-wired into the brain. Participants find out how habits and routines rewire the brain, then discuss and commit to simple practices to move out of procrastination into high-level performance. Contact me for more information about how I can tailor a presentation for your group.